The perfect blade for chopping and slicing, the Black Safari Knife will be your new best friend on your next outdoor excursion. Well balanced and multifunctional, the combined look and durability of this knife make it unmatchable. 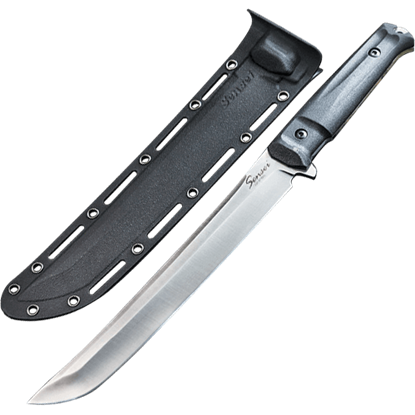 When it comes to survival knives, you want something that is durable and can perform a variety of tasks. Held to the highest standards, the Maximus Satin Tactical Knife is a strong and long lasting knife for your outdoor arsenal. 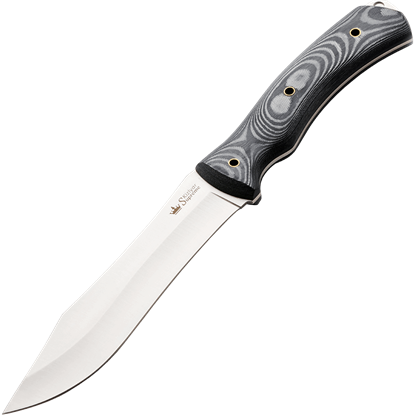 The Satin Safari Knife has all of the necessary features for an intimidating look and a multifunctional blade. A well balanced slicing knife and a massive chopper, this knife will be your favorite sidearm in the great outdoors. 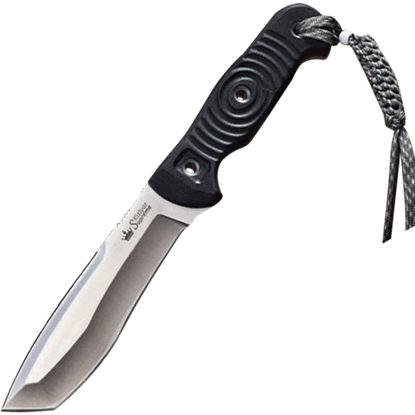 With the tactical abilities of a camp knife, the slashing power of a machete, and the feel of a Japanese short sword, the Sensei Black Camp Knife is a reliable and effective knife to keep at your side during outdoor adventures. Great knives take the best features that a blade can offer and combine them to make one exceptional blade. 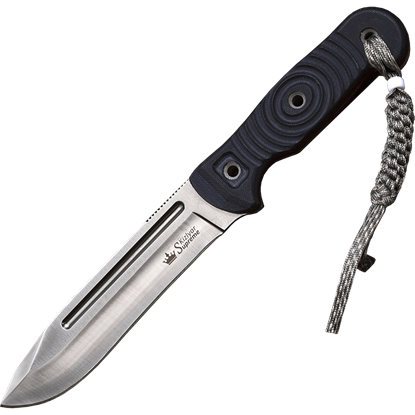 The Sensei Satin Camp Knife does just that, featuring the combined power of a camp knife, a machete, and a small sword. 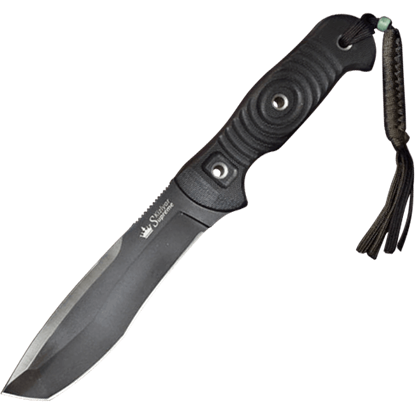 Make sure you are always prepared for an emergency with the Survivalist Z Black Tactical Knife. With a lightweight feel and a hollowed out handle for a first aid kit, this is a vital knife to have on hand in any survival situation. 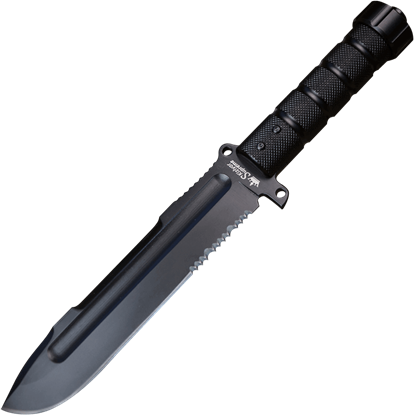 You do not want to be caught in a threatening situation without the Survivalist Z Gray Tactical Knife. 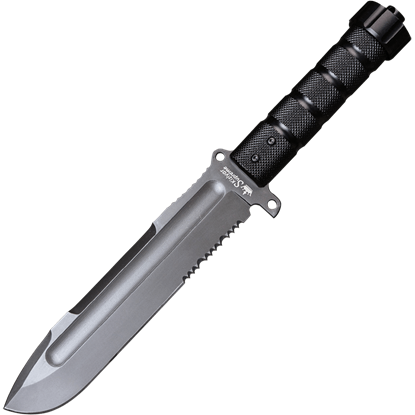 Not only does its blade allow for multifunctional use, but its hollow handle contains a survival kit for enhanced safety. 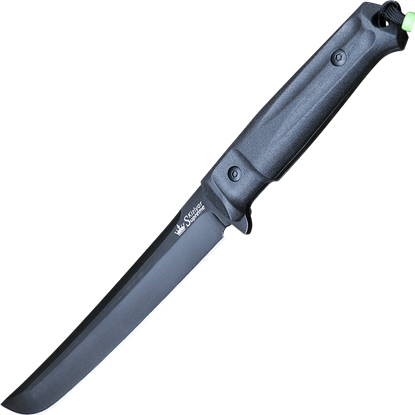 The unique shape of the Vendetta Black Outdoor Knife blade means that it is a highly versatile and functional tactical tool. 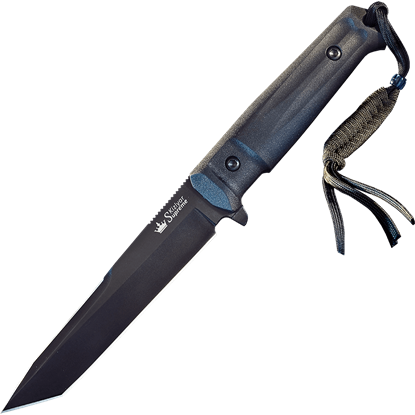 This is the ideal knife for an extended trip in the woods, able to assist you in a variety of outdoor tasks. A long trip in the vast wilderness calls for a knife that can accomplish a variety of tasks. For you, that knife is the Vendetta Satin Outdoor Knife, with a uniquely shaped blade that is strong and durable for your tough outdoor jobs.